In Florida, most residential parents count on child support money to provide a better standard of living for the children. But less than half of these obligees receive the full amount of support. When obligors fall behind, the state can technically take action to enforce the child support order. But overworked government bureaucrats can only do so much, and given the number of child support delinquencies, the caseload is enormous. Furthermore, individual obligees have almost no control over state enforcement matters. Given all these drawbacks, it’s usually best to work with an experienced Orlando child support lawyer. Attorneys have close bonds with their clients, so the legal team gets to work straight away. Furthermore, Florida law offers obligees a number of different collection options. Typically, you can choose the one that is best for you and your family. 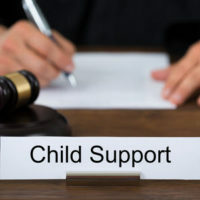 In many cases it is common to see individuals owing child support arrears or back child support. Parents can fall behind on their support obligations for many reasons and not always just because the person required to pay just doesn’t want to. In the event there are child support arrears owed, the parties or the court can provide for a repayment plan to pay down the amounts that are owed. If the parties are unable to agree the court usually will require the person ordered to pay to contribute an additional 20% of their ongoing child support towards the child support arrears. Prior to going before a judge, the parties are able to mutually agree to their own repayment plan that works best for them and their situation. The repayment can include monthly payments, lump sum payments, or other alternative means to settle the issue. This option is fairly popular as well. It gives the obligee money right away, but does not actually take money out of the obligor’s pocket. Generally, the obligor must be at least 90 days delinquent and owe at least $500. Typically, an attorney sends the obligor a notice of intent to intercept the tax refund, thus giving the obligor a chance to make a payment agreement. Usually, the payment agreement includes some money upfront. A lien is basically an attention-getting device. It does not produce any money until the property is sold. Typically, an attorney files the liens immediately and informs the obligor that the matter is negotiable. If the obligor keeps a payment plan for a few months, the obligee usually withdraws the lien. This tool is very effective, assuming that the obligor has a regular 9-to-5 job. If the obligor is self-employed or unemployed, this method may be a waste of time. Wage garnishment is the most common form of enforcing or paying child support both ongoing support and child support arrears. The court has the ability to enter Income Withholding Orders which are sent to the party’s employer and the employer is directed in the order to garnish the support amounts directly from the obligor’s paycheck. Employers are required to abide by the Income Withholding orders or they can face sanctions by the court. Bank account levies are usually used when you have a parent that is not paying child support, but they have funds on account in a bank. The levy will seize funds directly from the bank account, sometimes without prior notice to the person who is behind on their child support. Generally, the obligee places a hold on the obligor’s account and agrees to release it after the obligor pays a percentage of the amount owed. The bank account levy is a good combination of attention-getting device and money-generating device. Again, the obligee has options. Some obligees ask for only pennies on the dollar to release the levy. That’s basically a way of saying “I know where your money is and I can get to it if I have to.” In other cases, the obligee could ask for a substantial down payment on the arrearage, or perhaps even the entire amount. If you or your ex owes child support, you have options. For a free consultation with an experienced family law attorney in Orlando, contact Anderson & Ferrin, P.A. We routinely handle matters in Orange County and nearby jurisdictions.